Sunnyvale, Calif. and New York — Matterport unveiled Matterport Cloud 3.0, a subscription-based platform that enhances the power of Matterport’s flagship Pro2 camera, and enables new users to transform panoramic and 360-degree imagery from spherical lens cameras into Matterport 3D fully immersive 3D models. These new capabilities in 3D capture are made possible by the advancements in Matterport’s AI-powered image-processing technology, known as Cortex. Cortex is trained on Matterport’s dataset comprising billions of 3D data points, and can construct 3D models from 2D images captured with spherical lens cameras, including Ricoh Theta V and Insta360 ONE X. This new class of cameras, which start at under $400, provides a low-cost, entry-level solution for the capture, creation and publishing of 3D experiences. 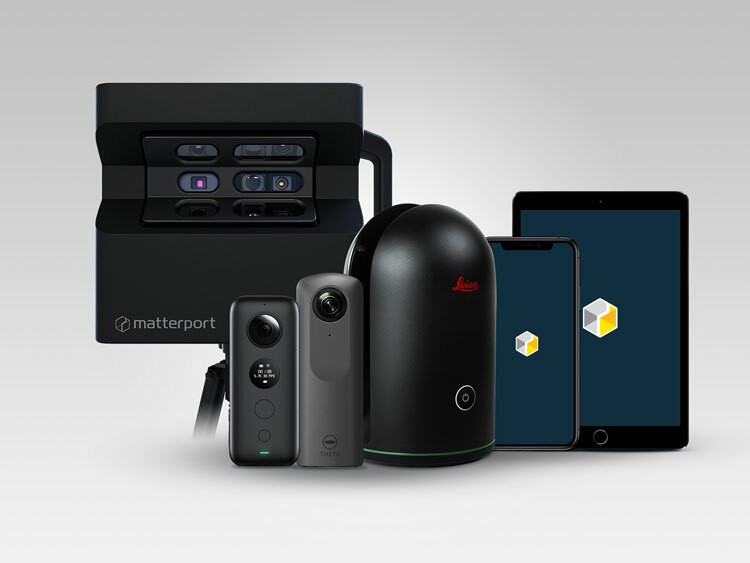 Matterport Cloud 3.0 expands Matterport’s ecosystem of professional 3D capture — adding to Matterport’s Pro2 camera line and the Leica Geosystems BLK360 laser scanner — making its 3D experiences accessible to a significantly wider market. The new offering is for customers who don’t require the accuracy, performance and image quality of Matterport’s professional products. Cortex, Matterport’s AI engine, has the ability to transform 360-degree images from spherical cameras into immersive 3D experiences using machine learning algorithms based on Matterport’s dataset comprising billions of 3D data points. Cortex includes 3D intelligence that can understand objects, rooms and the detailed characteristics of a space; automatically choose well-composed photos; and label specific rooms on a floor plan. Workshop 3.0 — Matterport’s core image editing environment now has a more intuitive user interface and better organization of features and controls. Showcase 3.0 & SDK — Released with dramatic increases in both speed and performance, especially when rendering large-scale 3D models. Capture App 3 — Matterport’s all-new version of its 3D capture app (in beta) — now runs on both iPhone and iPad to seamlessly guide and manage the 3D scanning and uploading process across all compatible hardware devices. It includes user interface enhancements based on feedback from existing customers as well as many other speed and performance improvements.